This week was the kind of week where a cocktail at 2 o’ clock in the afternoon on Friday didn’t seem out of place. After seven of us had our fill of the Indian buffet for lunch two of my girlfriends and I came back to my apartment for a drink, and to wind down after another week in the ivory tower. 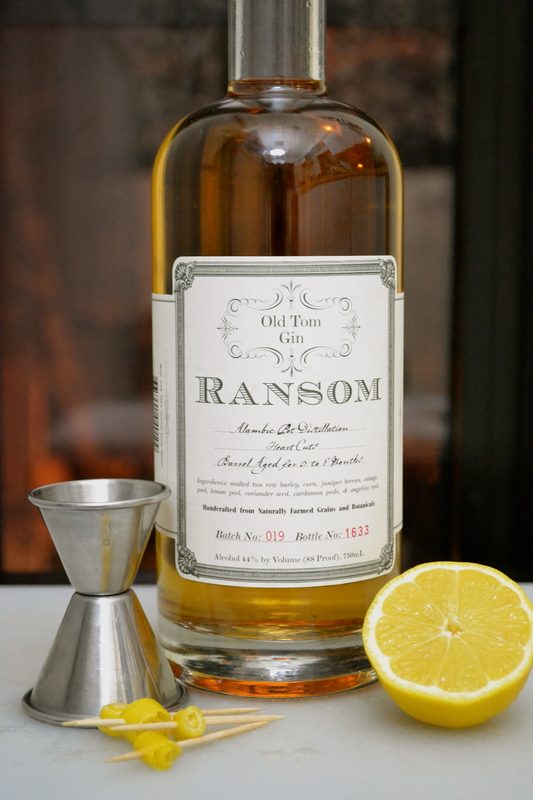 Having been so enamored with the Hendrick’s gin that I bought a couple of weeks ago, I ventured back to the liquor store to try out yet another unusual gin–this time Old Tom Gin, produced by Ransom, a distillery based in Oregon that apparently makes a few small batch liquors. But before we could uncork the Old Tom we had to make our way through my recent gin buying history, starting with Hendrick’s martinis (this time served in proper martini glasses, purchased today at the Goodwill for 50¢ a glass) and then making our way to the Old Tom only after a detour through some Beefeater. After enjoying our cucumber infused cocktails we decided to experiment a little. I found a recipe on Epicurious called Pink Rose, originally from House & Garden, circa 1973, that piqued our interest, and, most importantly, that we happened to have all of the ingredients to make. However, the first obstacle to making it was convincing our friend Beth to drink a cocktail with raw egg white in it–not an uncommon ingredient for a 60’s or 70’s era drink. Incidentally, the instructions for the drink warn that if you have “a problem with eggs in your region” you shouldn’t make the drink. Why, I wondered, couldn’t you just omit the egg white? 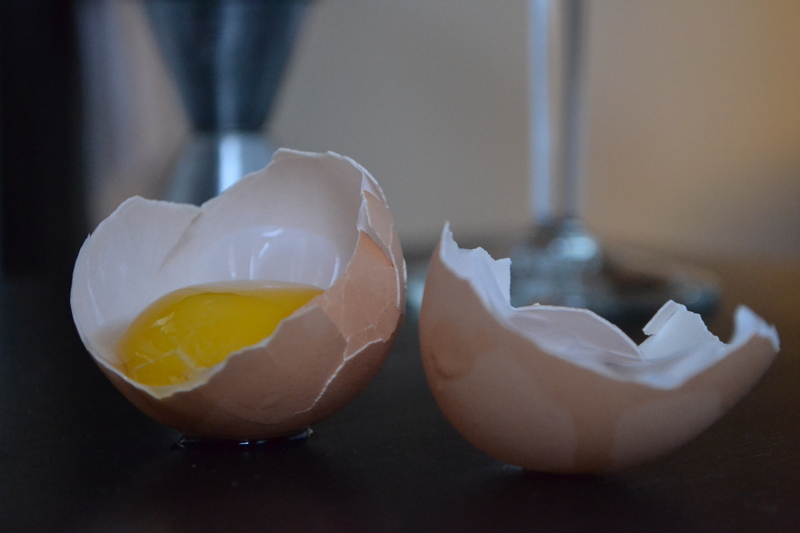 Since I am not aware of a problem with eggs in New Haven, and Emilie and I successfully persuaded Beth that the alcohol would surely kill anything harmful in the whites, we went ahead–with a few modifications. The result was not disappointing. 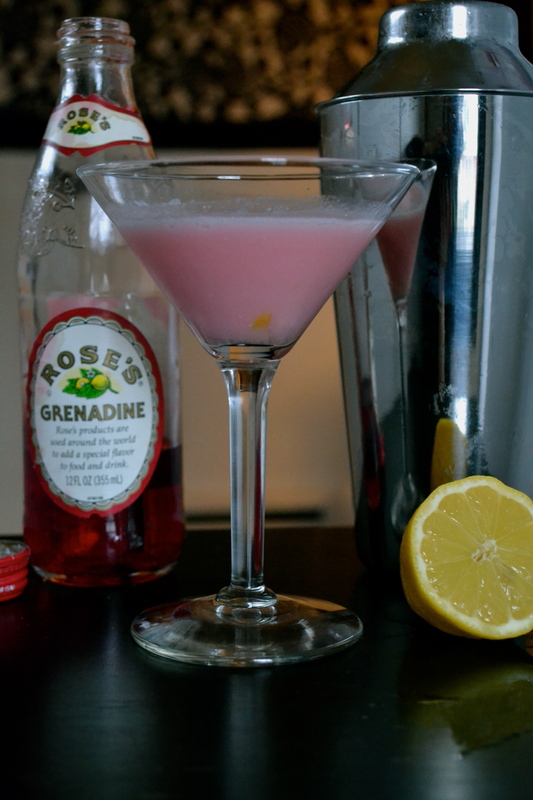 In fact, we would have had a second but we polished off the last of the dry gin in the process of making them, and I didn’t think either the Hendrick’s or the Old Tom was the right flavor to pair with the grenadine and cream of our new concoction. 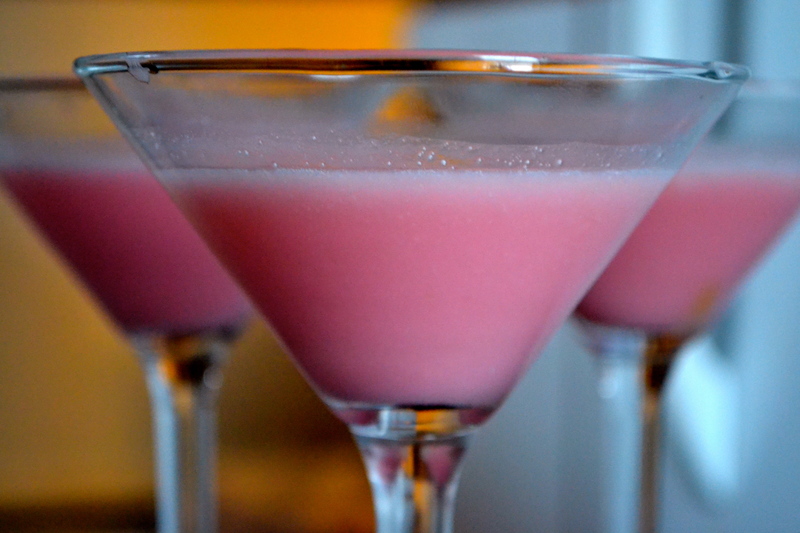 As the three of us sipped our Pepto-Bismol colored cocktails we reminisced about Creamsicles, whose flavor our martinis closely imitated, and 1980’s middle-class fashion, whose quintessential preppy pink was the exact color of our drinks. We unanimously agreed that a mint leaf would have been the perfect complement to the pink, in true Izod fashion (remember the pink polo with the green aligator?). Our happy hour, which stretched from two until nearly 8 o’ clock, but which only included three beverages, was the perfect end to a week in which I woke up each day at 5AM and didn’t stop until I collapsed into bed shortly before 11PM each night (where on several nights I lamented my lack of earplugs and my general state of grad-student-ness as I had to fall asleep against the backdrop of my downstairs neighbor screaming on the telephone into the wee hours, but that’s another rant). What follows is the recipe for the cocktail Emilie, Beth, and I have dubbed the Pink Preppytini, and which, despite the raw egg, is far too pink for Rocky to have imbibed. I recommend serving it with the most irreverent company you can find, but friends who, in the end, are still able to advise you not to post things on your blog that you wouldn’t want your seminary professor to read (thanks, Beth!). Wise advice after you’ve had a couple of cocktails. Pour all the ingredients in a shaker filled with ice and shake vigorously for a few seconds. Carefully remove the lid (ours kind of exploded when I took it off too abruptly), and divide between two chilled martini glasses. Garnish and serve. The Preppytini was what the 80s “Preppy Handbook” would call awesome. However, the especially special beverage of the evening was the Tom Collins rechristened the John Collins after our beloved Old Testament teacher — garnished with an ancient scroll in the form of a lemon rind. Divine.